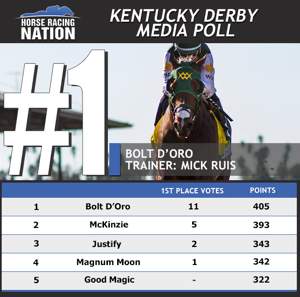 Instilled Regard, who looked much the best while winning Saturday’s Grade 3 Lecomte Stakes, made a similar run up Horse Racing Nation’s Top 50 ranking of 2018 Kentucky Derby contenders. The Jerry Hollenforfer-trained son of Arch vaulted from 36th to No. 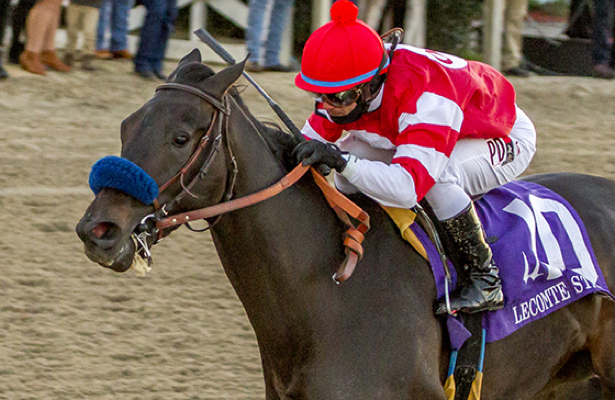 8 in the hours after his victory at New Orleans’ Fair Grounds while Firenze Fire, who took Saturday’s Jerome Stakes at Aqueduct to become a three-time stakes winner, cracked the top 10, rising from 12th to No. 8. Of the first 20 horses, 15 appear solidly on the Derby trail. Untamed Domain (12th) would need to switch surfaces after running second in the Breeders’ Cup Juvenile Turf; Copper Bullet (14th) is coming back from injury; Mendelssohn (15th) and Saxon Warrior (20th) are based overseas; and Analyze It (17th) is another turf horse who appears to have huge potential.